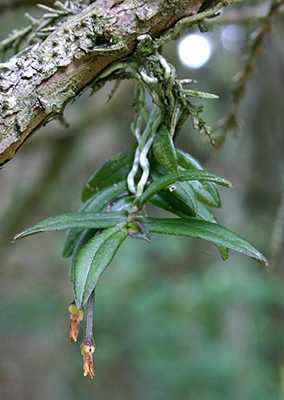 In the local mountains of Fukuoka Prefecture, Kyushu, Japan, there exists two miniature orchid plants that literally spend their lives hanging off the the edge of branches or even twigs of trees – most notably Japanese plum yew, Cephalotaxus harringtonia, Japanese cedar, Cryptomeria japonica. and to a lesser extent, hinoki cypress, Chamaecyparis obtusa. Mind you, these trees grow on exposed ridge lines that commonly experience typhoons (the Eastern equivalent of hurricanes) and near constant winds off the sea. Such a life is precarious to say the least, yet they manage to thrive. Both are closely related, but in different genera. 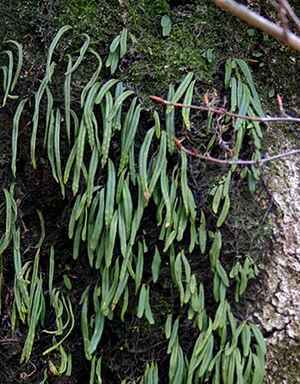 Thrixspermum japonicum is always found dangling from twigs of conifer trees. This one is in seed. 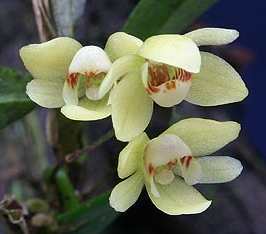 Thrixspermum japonicum is a miniature evergreen epiphytic orchid. 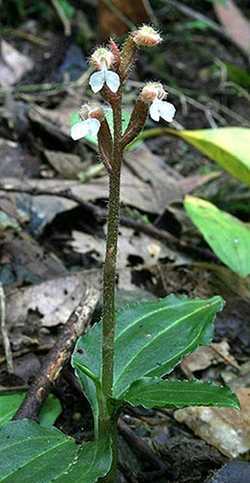 The plant grows from one growing point (monopodial growth form) and has a trailing stem. Offshoots can grow off this stem, sometimes forming small clumps of pendulous growths. 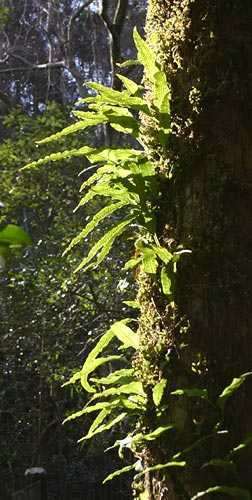 The entire plant is small with each growth being 3-10 cm in length, occasionally longer in really large specimens. 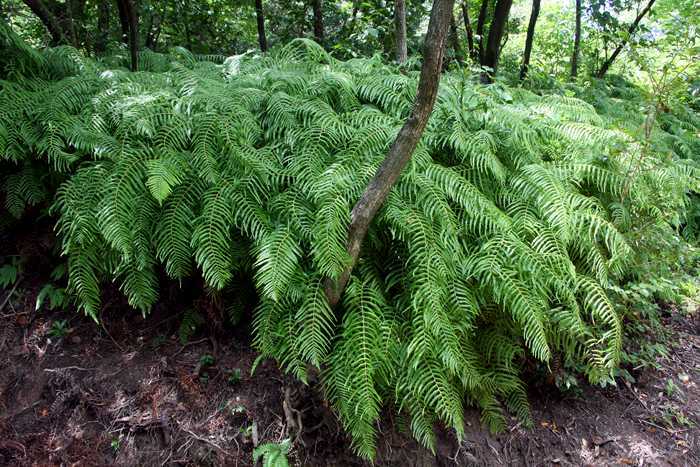 The thin leaves are usually a deep purplish green, between 1-3.5 cm long and 0.5-1 cm wide. The light grey-green roots mostly grow off the leafless end of the stem and are 4-9 mm long and about 1 mm wide. The flower buds begin to form in late summer in small clusters, and stay in stasis throughout the winter months until opening in mid spring. The flowers hang in clusters of 3-8, hanging neatly arrayed with all the flowers facing the same way. Each flower is tiny, not much more than 1 cm across and is a lovely creamy yellow. 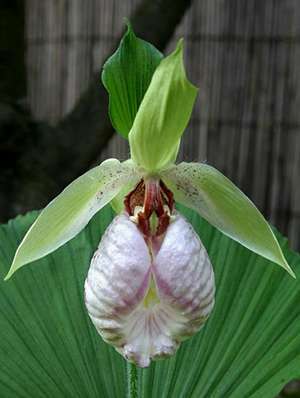 The flower is cupped forward, but mostly open, however the dorsal sepal stays bent forward over the lip. The sepals and petals are pure creamy yellow. The lip is heavily marked with reddish brown and is bulbous at its base with two flaring up swept “wings” at its sides. The seed pods are elongate and thin; 2-2.5 cm long and about 3 mm wide. 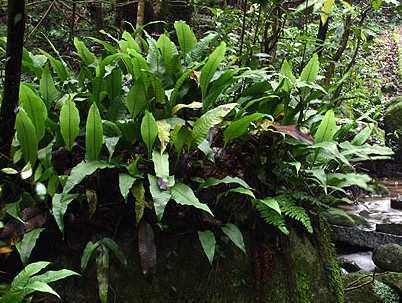 Plants typically form small, loose colonies. The flowers of T. japonicum are lovely when viewed up close. 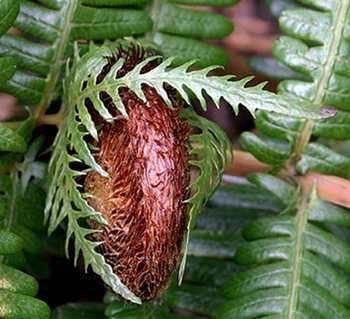 This species is locally abundant in wet forests growing on the twigs and small branches of conifer trees, especially Japanese cedar, Cryptomeria japonica, and Japanese plum yew, Cephalotaxus harringtonia. White it is also reported to grow on the trunks of evergreen broad leafed trees such as the Camphor tree, Cinnamomum camphora, I have not seen that locally. 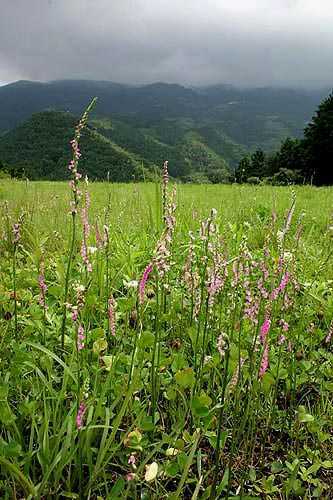 Plants tend to grow at fairly high elevations, from 400 m to 1000 m. They have been collected from Iwate Prefecture in the north of Honshu and all the way southward to Kyushu, Shikoku, and Yaku Island off the Kyushu’s southern coast. This was the first epiphytic Japanese orchid I ever saw in the wild. I was a bit surprised to find it, especially where I found it. 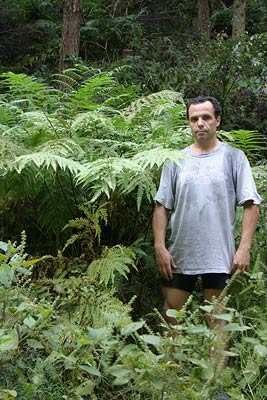 It was growing on the very outermost branches of a Cephalotaxus tree high up a mountain where winters get quite cold. Since then I’ve seen many more, with the vast bulk of these being on the forest floor attached to fallen twigs and branches. 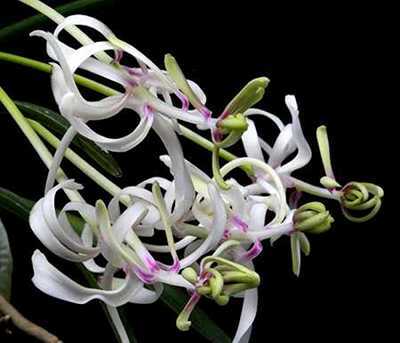 If this orchid had a job description it would read, “dangling precariously on small twigs high up in trees and falling to the ground” – and that is about the truth! I am constantly finding plants on the ground during my outings into the mountains. Whenever I see a recently fallen cedar branch, I always give it a close look. 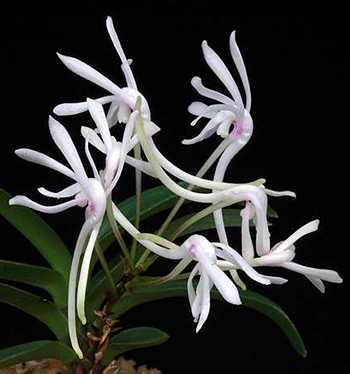 Most Neofinetia have a very standard shape and color, but there exist some flower forms that are so outrageous it is hard to believe they are actually the pure species. 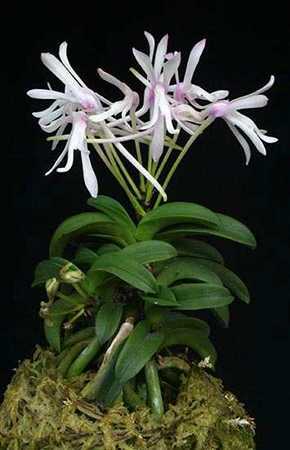 I remember vividly seeing Seikai for the first time years ago and thinking, “I wonder what that is crossed with?” A few couple later I was find out that this form was indeed a pure Neofinetia, not a hybrid at all. While the debate about the purity of some forms rages on, the natural variability this species exhibits remains remarkable. 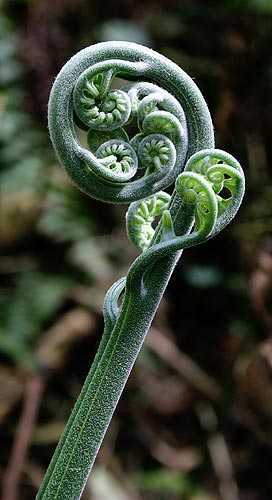 Perhaps no other group of fuukiran exemplifies this variety, both in breadth and form, than the odd shaped flower types. Odd flower forms can range in size as well with plants like Seikai, Unkai, and Shunkyuuden sporting abnormally large flowers while others are diminutive such as Kisshukouryuu. Still others have extra spurs, no spurs, flowers that don’t fully open, flowers that face directly upward, and so on. Some even are highly colored such as the prized Benikanzashi. Many are rare and therefore valuable. Here’s a taste. Perhaps the most unique of all – Seikai. 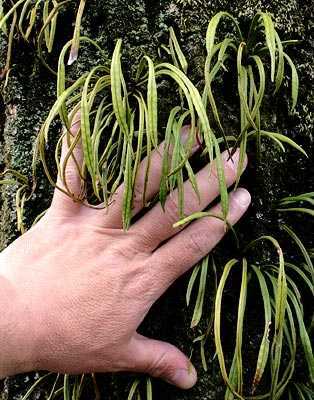 One of the most choice fuukiran is Seikai since it is so different from most that at first glance it is hard to believe it is a pure Neofinetia falcata at all. It is a “bean-leaf” type, but the leaves have a lovely arch to them, hence its name which means “ocean wave”. Like other bean leaf forms they are very succulent. The flowers too are just amazing, much larger than an average flower, pink, with upturned flower parts and a straight spur pointing in a downward direction. 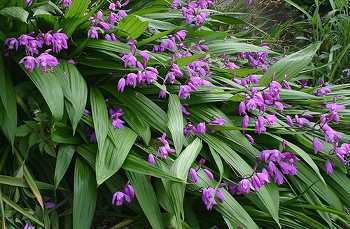 It remains fairly expensive since it cannot be reproduced through mericlones or seed, but only by division. Slow growing, but not difficult, this one belongs in every serious fuukiran collection. 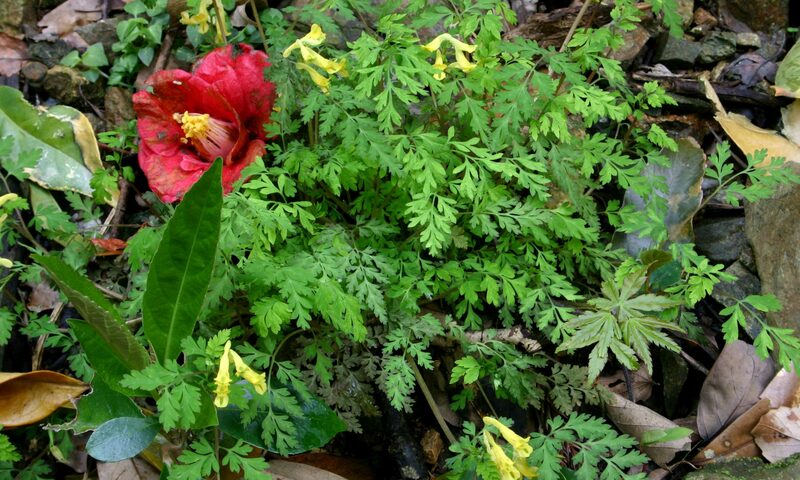 While the flowers of Unkai look much like its relative Seikai, the plant’s leaves are more normal looking. A close cousin to Seikai is Unkai , but honestly it cannot hold a candle to its fairer friend. 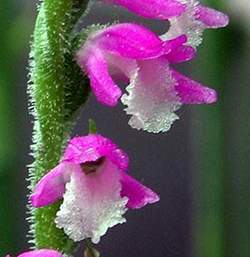 The flowers have a very similar shape as well, but tend to be paler. 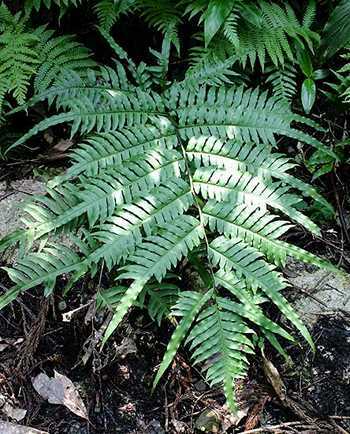 It too is a “bean-leaf” type, however the leaves are much less curved. It is a faster grower than Seikai, forming very nice clumps quickly and when in flower it really is a great looking plant. Care needs to be taken when watering both of these since direct watering can make the buds blast. Shunkyuuden is one of the oddest looking forms of all. 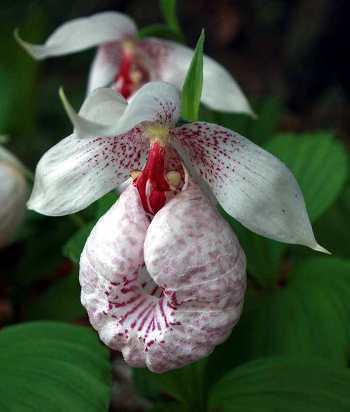 A really bizarre flower is Shunkyuden. It has many more flower parts than is normal and they grow in all manner of directions – they are difficult to explain, so I’ll let the photo speak for itself. Variability of their form is high, with no two looking quite alike, even year to year. It tends to be late flowering, often into late July. A bit slow to form clumps, but not difficult, and also quite expensive. Unfortunately, the flowers are completely sterile.